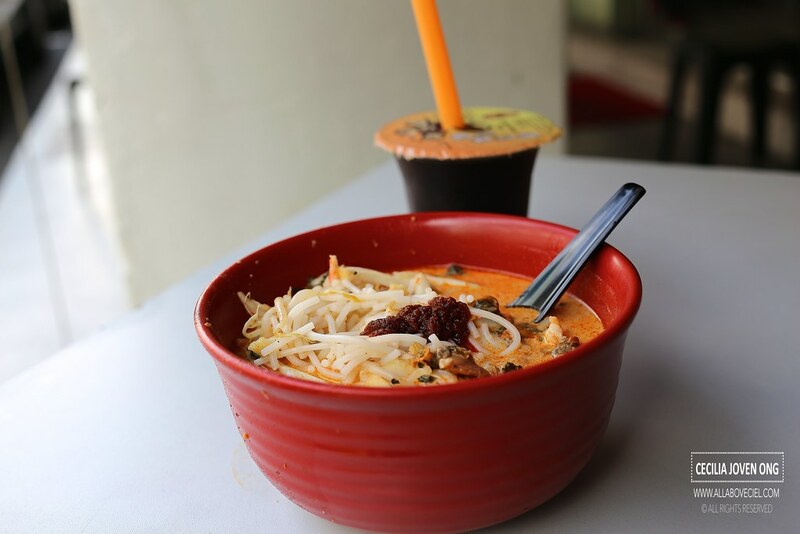 Now, when walking along the stretch of East Coast Road, you do not longer see the war of Katong Laksa going on, in fact, 328 Katong Laksa is the only surviving one right there though there is another one at Roxy Square, which is directly opposite. The shop has already lost its rustic charm as it went through a renovation and is air-conditioned now though there are a few tables outdoor. When entering, i proceeded straight to the counter and ordered right there, just like in a Fast Food Restaurant, then paid and waited for the order there. 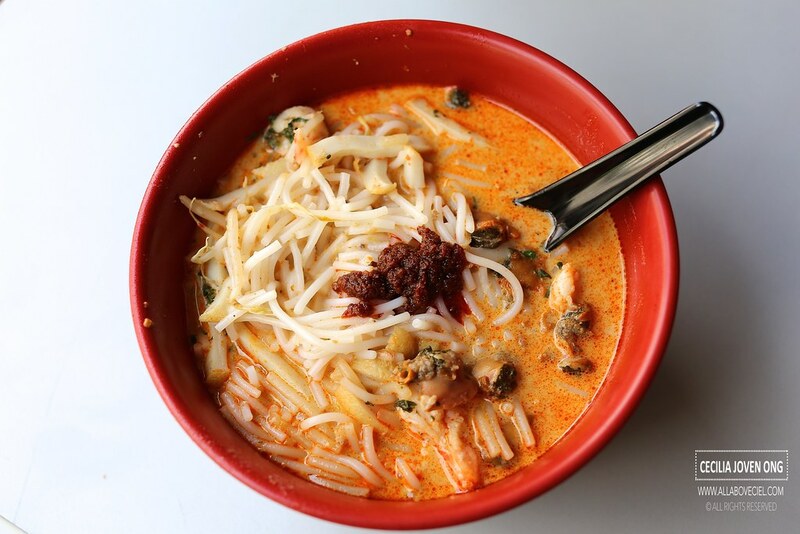 There are 2 options for their Laksa, the smaller portion at $5.50 or the bigger portion at $7.50. I went for the bigger portion and ordered a Luo Han Drink at $1.95 to go along. A small packet of sambal chilli was given with it. They are still serving it with just spoon and without the chopsticks. I stirred in the sambal chilli with the thick bee hoon, a few cockles and some small prawns together with a handful of beansprouts. After tasting it, i did not like it much as the the gravy was rather diluted with not much of coconut flavor. Honestly, it just did not make much sense to pay $7.50 for such a bowl of mediocre Laksa as there are many better and cheaper options out there. And, i wonder how did they manage to beat Gordon Ramsay in the Hawker Heroes Challenge orangised by Singtel with such a standard? I remember it did not taste too bad then so perhaps there might be a drop in the standard? 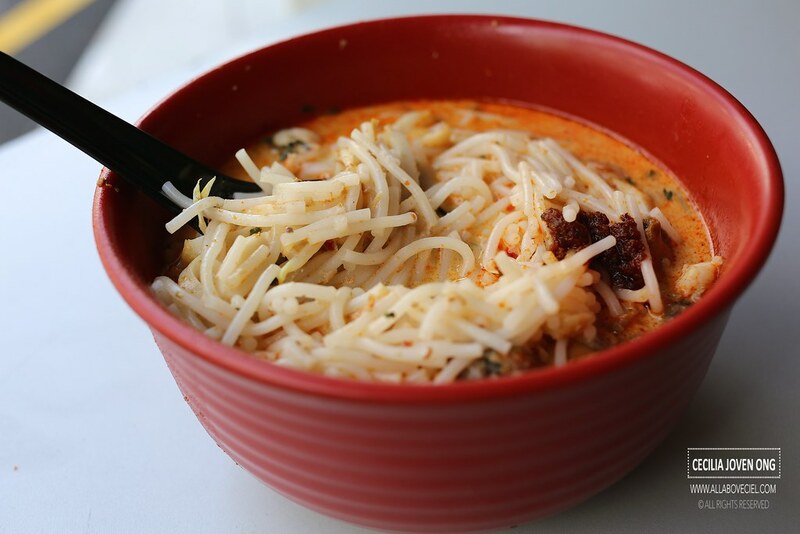 I have a feeling that most of their customers are the tourists and they are not likely to be able to tell a good bowl of laksa from a mediocre or even a bad one. It was so disappointing that i did not even finish it, i left about half of bowl unfinished and walked away, likely not returning anymore.